Audio Visual Installation of Crestron, AMX, Projectors, Smartboards & Flat Screens - Introducing a WiFi BYOD Interactive and Collaboration solution. 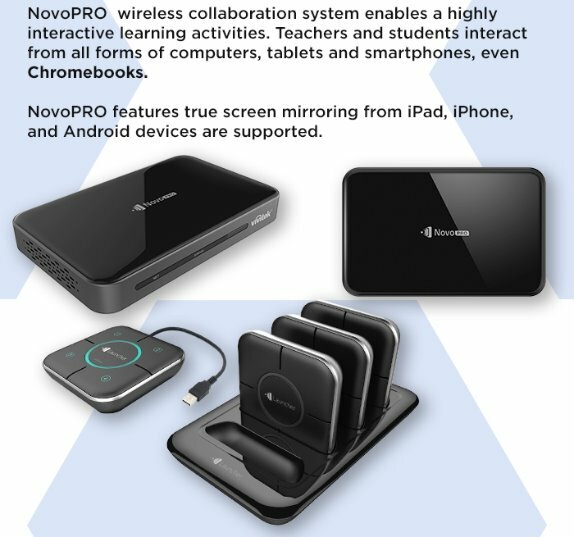 NovoPRO is a wireless presentation and collaboration system designed to support highly interactive and collaborative meetings or classroom learning activities. Meeting participants, instructors/teachers and students can interact and share digital content via their PCs, tablets, Chromebooks and smartphones, a true BYOD device. True screen mirroring from iOS and Android devices is supported. NovoPRO features screen preview/moderator control, 4-to-1 projection, video streaming, instant response system (IRS), file sharing, and access to cloud-based resources. Fully built in whiteboard interactive features encourage meeting or classroom participation and all Novo's can be managed remotely over the network. 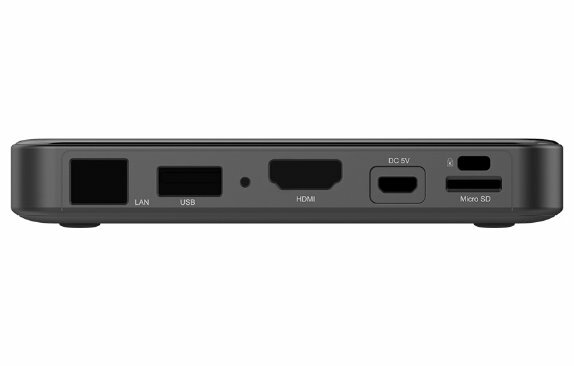 The built in Ethernet port allows for dual network connection to accommodate Corporate/Guest or Student/Faculty networks. The NovoPRO can also be optionally equipped with the Launcher; a USB-connected device with software preloaded, that with the click of the Launcher button, displays the computer screen for a true plug-n-play-n-display solution. (phones, tablets, chromebooks and Mac/PC computers). Contact Your NovoPRO Sales Rep Today for a Quote.